Sydney is one of the world’s most romantic cities. There are countless activities which can ignite a love affair or recreate romance in a relationship. Sydney’s beaches, harbour and iconic monuments are a haven for lovers. Adding flowers, preferably roses, to a perfect summer evening, will ensure a romantic night out. 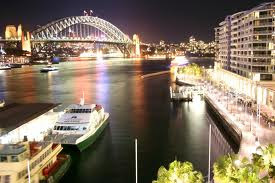 Circular Quay is the home of two of Australia’s most famous icons, The Sydney Harbour Bridge and the Opera House. The Quay is surrounded by restaurants, bars and cafes. Dinners can range in price, but there is something to suit every budget. There is nothing more romantic than an intimate dinner for two with harbour views. The smell of the harbour wafts over the outdoor tables and the gentle lap of the water is a soft accompaniment to conversation. Then, after dinner, a walk to the Opera House will reveal one of the most spectacular sights in the world. The lights, relaxed atmosphere and beauty of the area will sweep any prospective lover off their feet. 2.Music at the Sydney Opera House. For lovers of music, the Sydney Opera House is one of the most exquisite venues in the world. Once inside the iconic sails, the views across the harbour are magnificent. The still air of a summer night mixed with world class musical performances combine to produce one of the most romantic activities available. 3.A walk across the Sydney Harbour Bridge. The Sydney Harbour Bridge is a monument to man’s ingenuity and engineering prowess. The bridge also spans one of the world’s greatest natural harbours. Walking across the bridge is free and it is a beautiful way to spend an evening. Intimate conversation is framed by a spectacular view of Sydney city. The sight of the lights reflecting on the water below is truly magnificent. 4.An evening picnic at a beach. Sydney is surrounded by beaches. They are open all year, and are a natural part of the city. Sydney’s beaches are easily accessible by public transport and open to the public. A picnic at the beach on a fine night is a wonderfully romantic way to spend an evening. The sound of the waves and the sight of the never ending ocean are a magnificent backdrop for a night of cuddling and snuggling in the sand. Although the Blue Mountains are some distance from Sydney city, it is possible to drive there in an evening. However, the most romantic way to experience the mountains is to arrive at sunrise. The sight of the sun rising above Echo Point is a wondrous testimony to nature. It is a romantic sight that can be complimented by a beautiful bunch of flowers and a champagne picnic. Sydney is a city blessed with natural wonders. A romantic night is therefore an easy task for a prospective lover or for a first date. Adding a bouquet of roses to a trip to one of Sydney’s spectacular views will prove love and provide intimacy. Sydney with its temperate climate and water features is in many ways the true city of love.